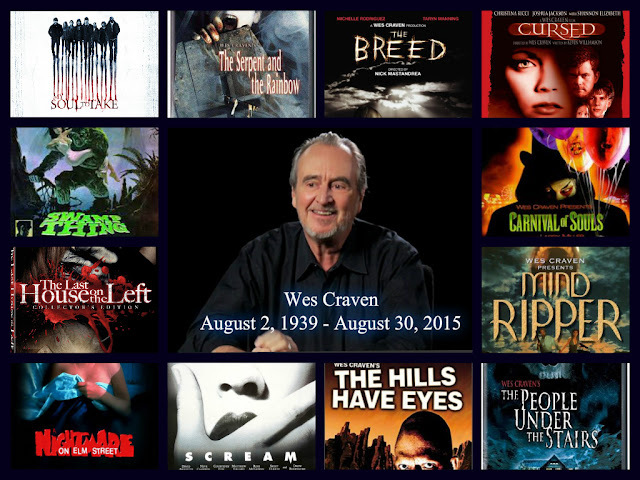 Craven was still actively developing projects, having recently signed an overall television deal with Universal Cable Productions. He had television projects in development including “The People Under the Stairs” with Syfy Networks, “Disciples” with UCP, “We Are All Completely Fine” with Syfy/UCP, and “Sleepers” with Federation Entertainment. He was also executive producing the new “Scream” series for MTV. His most recent films were 2010’s “My Soul to Take” and “Scream 4” in 2011. He had recently written and was to direct the “Thou Shalt Not Kill” segment for the Weinstein Company/WGN’s “Ten Commandments” television miniseries, and had also been working on a graphic novel series based on his original idea “Coming of Rage” for Liquid Comics, in collaboration with Steve Niles. He was exec producer of “The Girl in the Photographs,” which will premiere in Toronto. Born August 2, 1939, in Cleveland, Ohio, the longtime bird lover served as a longtime member of the Audubon California Board of Directors. Craven is survived by his wife, producer and former Disney Studios VP Iya Labunka; sister Carol Buhrow; son Jonathan Craven; daughter Jessica Craven; stepdaughter Nina Tarnawksy and three grandchildren.